Is it common for people with Asperger's to become frequently overwhelmed and frustrated over seemingly insignificant matters -- that is, things that typically would not bother anyone else? 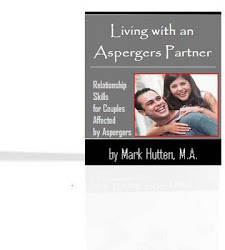 People with Asperger's are indeed easily frustrated by certain circumstances. They may become overwhelmed by minimal change and very reactive to unwanted environmental stimuli. They typically like everything to stay the same. Some "Aspies" find work very stressful, but they tend to keep their emotions bottled-up until they get home. Most of these individuals don't display the body language and facial expressions you would expect to see when one is feeling anxious or upset. While they may appear relatively calm at work, they are often experiencing very different emotions under the surface – and may release those pent-up emotions in the safety of their home. Due to difficulties with empathizing, many adults on the spectrum don't recognize the suffering of others. So, when they attack another person, they may not be able to fully comprehend the damage they inflict. Many adults on the spectrum have been known to experience meltdowns. Think of a meltdown as an “escape mechanism.” If the Aspie has the means to get himself out of a highly frustrating situation before it becomes overwhelming, the cognitive and emotional pressure lessens. But, without these means of escape, the anxiety will escalate, and his body will begin to panic, propelling him toward a meltdown.